After having tasted some of the finest South African wines, on the last morning in Cape Town we headed for the District Six Museum. For those who have been following the Travel Diary which is being published in Opportunities Today, I had mentioned about the District Six Museum whilst featuring Noor Ebrahim – one of the Founders of the Museum. You can read the back issue of the magazine at www.rbcsgroup.com as well as in the South Africa special segment at www.compacttravels.com . Just to give you a quick recap, District Six Museum is located at 25 Buitenkant Street in Cape Town and is named so after the sixth district of Cape Town which was in existence in 1867. In 1966, under the apartheid regime, this suburb was declared a “white area” and by 1982 over 60,000 people were forcibly removed from here and their houses were flattened by bulldozers to a barren outlying area known as Cape Flats. The District Six Museum was born on December 10, 1994 to work with the memories and experiences of those affected. The Museum is one of the must visit attractions of Cape Town as it portrays the history of apartheid and its effects on the “ordinary” people through an intimate look at their touching stories. After our visit to District Six Museum we took a short walking tour of the Bo-Kaap on the slopes of Signal Hill which is well known for its colourful Malay homes and mosques. The “Bo Kaap” or “Cape Malay Quarter” belongs to the most interesting cultural and historical parts of Cape Town. Many of the inhabitants are descendants from Indonesia, Sri Lanka, India and Malaysia, who were captured in the 17th and 18th century and enslaved by the Dutch-East Indian Trading Company. Many were Muslims and others were converted to Islam by the Cape Muslim community. The people of Cape Malay have preserved their cultural identity. The old Malay Quarter with its steep and narrow streets, the plain artisan houses, Mosques and Minarets, reaches from the Buitengracht street up to Signal Hill. The houses were restored and colourfully painted. The architecture is a synthesis of Cape Dutch and Edwardian styles. We stopped at Biesmiellah, a traditional Cape Malay Restaurant and Delicatessen to try out some Malay speciality which included samosas as well. We returned to the Holiday Inn Strand before checking out and having a final glimpse of the imposing Table Mountain from the glass escalator.We surely missed out on the Garden Route which comprises of Cango Caves, Ostrich Farm at Outshoorn, Knysna as well as the experience of travelling on the famous Tjoe Choe Train from Knysna to George. We reached Johannesburg and we checked in at a wonderful property located in the Sandton Area known as the Balalaika Sandton which belongs to the Protea hotels. It is also in close proximity to the Johannesburg Stock Exchange and is a focal part of Maude Street, the new “Wall Street” of South Africa. After having some fine Italian food at the Village Walk the following morning, we checked out to go to the airport to catch our flight back to Mumbai. It was one of the most memorable fam trips that I have taken as it gave us the experience to try out varied cuisine, stay on some amazing properties and made us wonder what the world has missed during the apartheid days, in a country so full of vibrance, culture, exotic destinations, from big cities to game reserves to the best of wildlife. We experienced varied climate and even after having seen so much we still missed out on many exciting destinations, as South Africa is a vast country and has so much to offer. 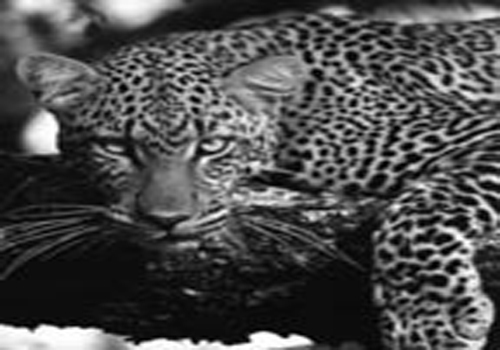 We at Compact Travels have utilized the knowledge gained from the Fundi programme to prepare some exciting holiday packages in association with reliable and efficient tour operators and there is an entire range of packages for one and all right from the Backpackers to Honeymooners, to Families and those who want to experience wild Africa. Those who have missed out on the earlier issues on South Africa can visit www.compacttravels.com and find out more about various places as well as some of the exciting packages to South Africa. Beyond the crowded group tours, experience choice sightseeing and comfort through customized holiday plans at Compact Travels. Compact Travels believes in “exploring places like never before“and offers a variety of tours and programs with emphasis on FIT- Frequent Independent Travel. In comparison to rushed group tour plans, FIT brings you the choice of sightseeing and that too at your own pace. Your special interest in culture, nature, history, art, sports and sightseeing is carefully looked after, as we plan exclusively for you that too at a price comparable to group travel. This is because we specialize in all the destinations that we promote. South Africa is one of the many popular destinations that we specialize in. With the help of advice from the experts, Srikumars decided on the following itinerary. We depart Johannesburg early and leave the bustle of the city behind us as we head towards Mpumalanga- the place where the sun rises. With fresh air and open fields around us, we sit back and relax as we head down the escarpment to the ‘Lowveld’. Right in the heart of Mpumalanga, lies the Kruger National Park. The park was established in 1889, is more than 2 million hectares and bigger than Wales and Israel. You will find more than 146 mammal species, 507 bird species and 400 different tree types in this spectacular Bushveld home. 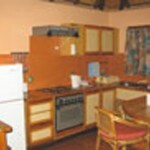 Upon arrival at the park we check into our upmarket lodge with its luxury en suite bungalows. We have time to explore the lodge and enjoy lunch (own expenses) before we embark on our first afternoon Game Drive. Our open 4×4 Game Drive vehicles are perfect vantage point and will prove to make this an unforgettable experience. We will arrive back at the lodge before dark. Dinner is served and we have time to enjoy the magical sounds of the African night before retiring to our bungalows. We start at dawn and on this day and do a full day game drive to try and spot as many animals as possible. We will stop several times during the day to freshen up and have breakfast at the lodge or at one of the rest camps along the way. We also stop at the rest camp where we take time to have lunch (own expense). We embark on an afternoon drive to see if we can spot some more of the magnificent creatures that roam this area. Our Game drive vehicles are radio linked to other vehicles in the park and therefore we have the advantage of tracking down the elusive ‘Big 5’. We will return to our lodge in the late afternoon and have some time to relax before we enjoy the dinner and talk about everything we experienced on this day. We explore the Mpumalanga Panorama Route, and along the way we visit some breathtaking views and spectacular scenery. Our first stop is God’s Window, an overwhelming beautiful viewpoint with a 1000m drop into the ‘lowveld’. At the Bourke’s Luck Potholes, the Blyde (Happy) and the Treur (sad) rivers meet up and form a magnificent display in the Blyde River Canyon. We stroll back in time, down the historic main street of Pilgrim’s Rest. It takes us back to the days when dreamers and desperadoes from around the world converged on this little known valley in a hectic scramble for the riches that lay beneath its grassy hillsides. After a late lunch (own expense) we continue our drive towards Johannesburg. On arrival check in at the hotel. After breakfast Depart the hotel and travel to Gold Reef City where you can enjoy a 3-hour guided tour, including a ride on a sightseeing train, small crafts village and a trip down the Gold Mine, to Level 5 (220m/785 feet below the surface). See a 12.5kg gold pour, be entertained by Siyagida African Dancers. Gold Reef City is built around an old gold mine – this theme park is a reconstruction of Johannesburg during The old rush Era. Included in this tour is a descent down an old gold mineshaft to learn how gold was extracted in the past, witness molten gold poured and watch an exciting display of tribal dancing. Continue to Soweto collecting your specialist Soweto guide en route. Soweto is a sprawling metropolis of more than 3.5 million people on the outskirts of Johannesburg that is a multi-cultural composite of South Africa today. Peek into the past – hostels, Freedom Square, the struggle for liberty. Stand on the only road in the world that carries the honour of two recipients of the Nobel Peace Prize. The tour includes a full view of Soweto from the vicinity of Chris Hani Baragwanath Hospital, visits to African merchants, the Hector Peterson Museum, a typical four-roomed dwelling and an informal settlement and views of Nelson Mandela’s house, a crèche, an old age home, affluent suburbs and a typical shebeen (local pub). Overnight at Hotel in Johannesburg. After breakfast transfer to Johannesburg International Airport for your flight to Cape town. Arrive at Cape Town Airport where our representatives will meet and assist you at the Airport for your transfer to your Hotel. 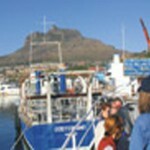 Depart for an afternoon city and Table Mountain Tour. This city tour features Table Mountain(weather permitting, cable car fees not included), scenic coastal drive through Clifton & Sea Point, Green Market Square, District Six, Walk through the Company gardens, passing the house of parliament. Spend the afternoon at leisure or shopping at the Canal Walk and window shopping at the V&A waterfront. Overnight at your hotel in Cape Town. After breakfast Depart on your Seal Island Cruise (weather permitting) to view several thousand Cape Fur Seals who inhabit this island, during the summer months, along with the rare Black Commorant birds that lollop among the kelp forests. Continue on to the Cape of Good Hope Nature Reserve to see examples of indigenous flora and fauna that exists in this priceless wilderness area. Enjoy a return trip by funicular to the top of Cape Point where one of the highest sea cliffs in the world juts into a stormy sea of two mighty oceans colliding. One of the most breathtaking views in the world lit up by the ‘most powerful lighthouse in the world’, that beams an electric light of 19 million candle power across the ocean. Then on to Boulder’s Beach that is home to a growing colony of the vulnerable African jackass penguin and can be viewed at close quarters. Your last stop is at Kirstenbosch National Botanical Gardens, a world famous garden of indigenous plants and regarded as one of the top 7 botanical gardens in the world (time permitting). Return to your hotel in Cape Town. Transfer overland to Mosselbay where you will visit the Old Post Office tree manor and stop off at the Diaz museum. The seaside town of Mossel Bay basks on a sun washed peninsula halfway between Cape Town and Port Elizabeth overlooking the warm waters of the Indian Ocean, with miles of unspoiled, north-facing beaches. The townfolk like to boast that they enjoy the best weather in South Africa and the Guinness Book of Records lists Mossel Bay as second only to Hawaii in having the world’s mildest all year round climate. It’s a bustling resort town in summer; ideal temperate retreat in winter and it draws sun seekers from around the world throughout the year. Proceed to your hotel for check-in. Breakfast at the hotel. Transfer to Oudtshoorn and visit the Cango Caves, international renowned as one of the world’s great natural wonders sculpted by nature through the ages, their fascinating limestone formation occurs in a variety of ways. Proceed onwards to Cango Wildlife Ranch .Over 300 crocodiles ranging from 50 cms to 4 meters in length, inhabit in the Ranch. Proceed to your hotel in Knysna for Check in. Transfer to the train station to board the Outeniqua Choo-Tjoe steam train, one of the few remaining steam trains in the country. Enjoy the splendid views of lakes, forests, beaches and cliffs. Afternoon at leisure. Explore the quaint town known for its art & craft shops. “The place of the people, beauty and mystery.” This ever-popular charming town of legend, history, arts and crafts catering to visitor’s every need or fancy. Embark on a ferry trip on the Knysna Lagoon to view the famous Knsyna Heads aboard the pleasure boat, the John Benn. After breakfast, we depart for George. Check in for flight to Johannesburg (not included). Upon arrival in Johannesburg the group will be met by their guide and be transferred to their hotel in Johannesburg. On arrival at Sun City check into your hotel. Rest of the day at leisure. In an extinct volcano crater lies southern Africa’s most dynamic and exciting entertainment complex: Sun City and the Lost City- where the fun never stops. Visit the valley of the waves, the lost city or try your luck gambling in true Las Vegas style. Restaurants and live shows await you. Overnight at your hotel. After breakfast transfer to Johannesburg International Airport for your flight back to Mumbai scheduled at 1125 hrs. Arrival in Mumbai at 0200 hrs. We reproduce below the first hand account of what one of our esteemed clients “Srikumar family” has to say about their South Africa experience…….. When we, a family of three, decided to visit South Africa, we made enquiries about a good tour operator, who could be relied upon, to not only arrange for us a hassle free holiday but also take all the arrangements related tensions and worries off us, including ticketing, stay arrangements and other formalities, economically. After a number of phone calls to various operators, we decided to throw our lot with Compact Travels and we are happy to say that the trip went off very well, just as we had hoped for. We flew Kenya Airways, who though not in the league of Singapore Airlines and the like, were quite professional and business like, with no frills attached. We reached Johannesburg on 7th November 2004 and from the moment we landed, till we left the beautiful country, we were taken care of by the local Tour Operators, in a very professional manner, not missing a single point in the itinerary, as promised. The itinerary was prepared for us, after consultation with the Tour Consultant at Compact Travels. The visit to Kruger National Park has left an indelible mark on us. Seeing the wild animals at such close proximities sent a chill up our spines. 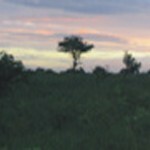 We enjoyed the sites of the bushy, vast expanse of the park, with only the shy leopard (out of the Big Five), eluding us. The stay in the midst of the park, with its down to earth hospitality, really humbled us. The highlight of the Johannesburg was a visit to Soweto, with a guide, who had actually participated in the anti-apartheid movement and suffered a lot. His detailed exposition on the movement moved us. Next stop was at Capetown, a stunningly beautiful city, with a very happening Waterfront. We took the ‘Garden Route’ to Knysna and Mossel bay, which can boast of some of the most beautiful beaches in the world. The Ostritch Farm(where one can actually ride on an ostrich and we really did so) and the Cango ranch( with all its wild animals croc and caves) made our son go berserk with the camera and the handy cam. Capetown left a lasting impression on all of us, with its beautifully paved streets, Table Mountain, wonderful seafood, Seal Island and the Jackass Penguin Colony. Back to Johannesburg, we had a two day stay at the famed Sun City, a man made fun city in the midst of a huge crater. It has entertainment avenues for everyone and one can stay there for days together, forgetting the world. Back in India, we would like to thank Compact Travels and their associates in South Africa, for making our trip truly memorable.